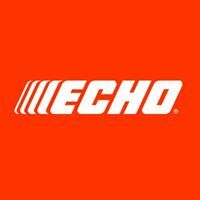 Ikes's Small Engines Sales and Service for Echo, Honda, Scag, Shindaiwa, and Toro power equipment. We carry an extensive SCAG line of equipment. Find out more, Contact Us Today! 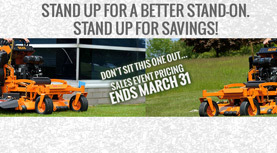 0% For 48 Months with Approved Credit on Zero Turn Mowers. BobCat & Scag to name a few! Find out more, Contact Us Today! Ike’s Small Engines has provided the highest quality mowers and trimmers in the Brazos Valley since 1981. Due to our impeccable sales and service record, our product distributors have awarded and applauded our dealerships outstanding performance. As further evidence of our commitment to quality customer service we are proud to present this website. Our new showroom allows us to display the wide variety of equipment we have always offered. We sell a wide variety of outdoor power equipment. Visit our Equipment page for a comprehensive list of what we have in stock. We've got you covered when it comes to service for walk behind mowers, riding mowers, zero turn mowers, chain saws, trimmers and blowers. We offer competitive rates and our certified service department will make sure your outdoor power equipment gets the tender care it deserves.